A charming image with a delightful verse -- wonderful for a special friend. 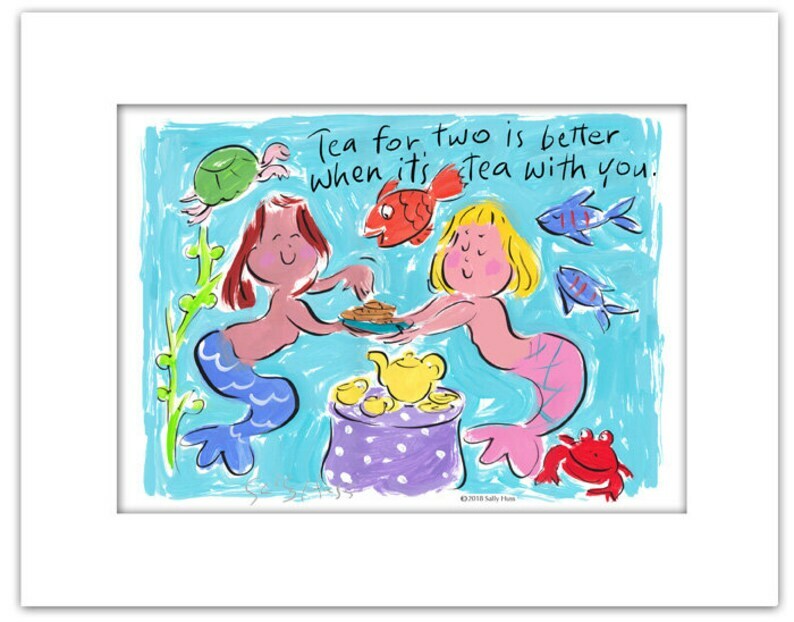 This adorable print was originally painted in acrylic and the linework done in ink. I love this piece. I have painted many mermaids through the years and have placed them on purses and totes, long serigraphs, small prints, but this is a new one. I also have a fun video on "How to Paint a Mermaid" by Sally Huss. Then too, I've created a couple of charming mermaid children's books (A Mermaid Tea Party, The Official Mermaid Handbook.) You might enjoy these. I had fun making them. Enjoy!